Laundry. It is either a love to do or hate to do for people. One thing that I think we can all agree on is if your laundry space is in order - the laundry isn’t so bad. Whether your space is large or small, these simple tips will help you bring a little joy into your laundry room! First things first. Laundry sorting. If you can keep your laundry sorted, you will have a much easier time getting your loads done quicker! TIP: If you are anything like my family we tend to struggle with keeping our clean clothes put away. We keep one of these hampers for clean clothes and clothes that need to be washed. To achieve this look you will want some Iron-on! You can find the full project in Design Space here. These little wash bags by Something Turquoise. These simple bags are a quick project to help you when you are traveling. Keep your delicates stored and sorted when you are on the go. I keep these in my gym bag and they are not only cute but SO nice to keep things sorted. Make the project in Design Space here. Ughh...we’ve ALL been there. We’ve all heard that the dryer is a serial sock eater...jury is still out on that. 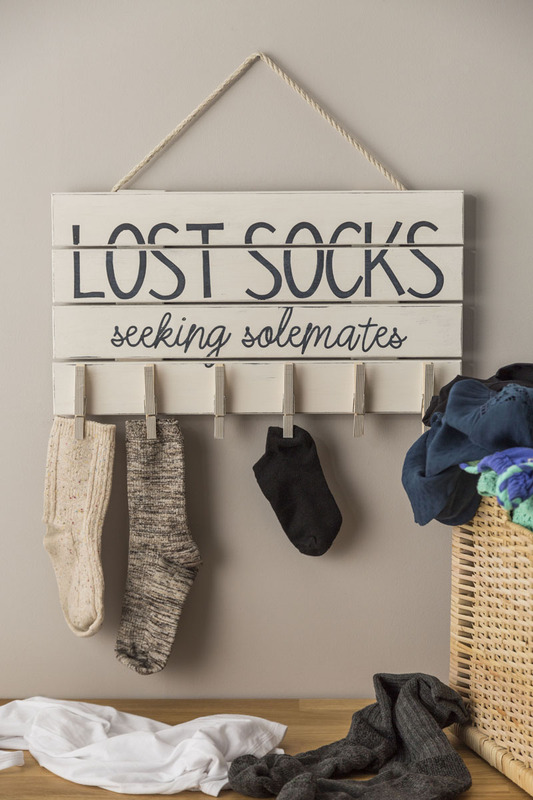 This sign is perfect for all the people who have felt the pain of a missing sock case. Hang this sign anywhere where you do your laundry and sure enough, your socks will start to turn up! This project is perfect for beginners to start with! Make it now by clicking here. We have one more sign that we HAD to share! 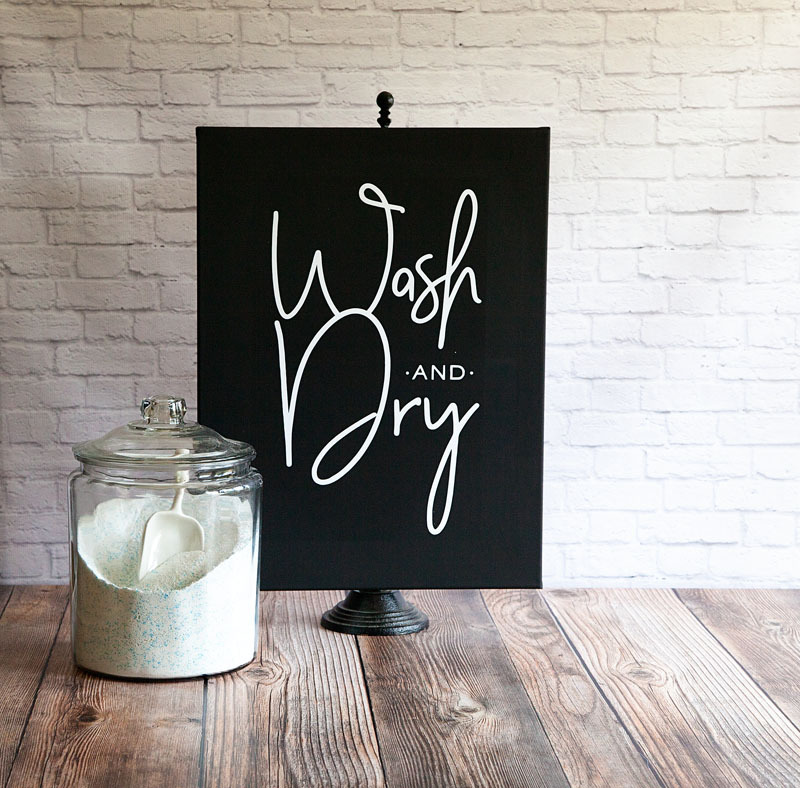 Okay, while it may not be necessary for a complete organization look, we loved the simple look of this sign for the laundry room! Whipperberry created this sign and she is showing you how to create that here. 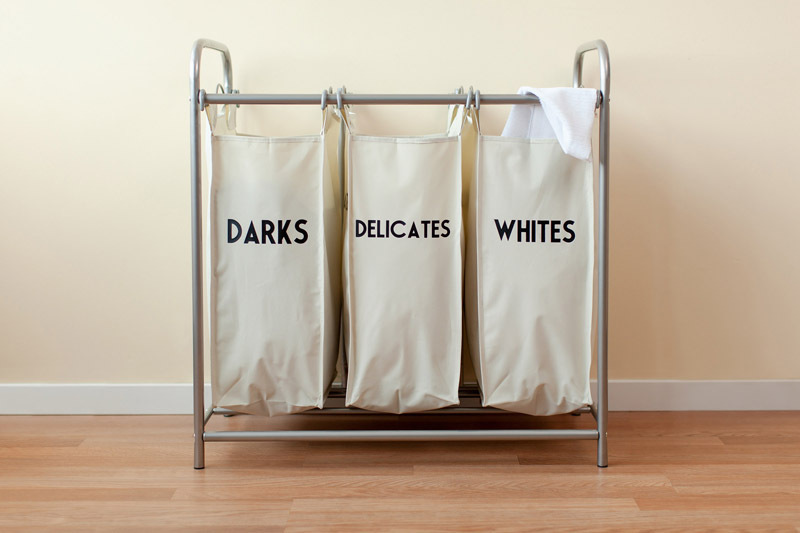 We can’t wait for you to try out these ideas in your own laundry rooms! If you’ve got some Vinyl and Iron-on you are ready to head to your machine to get started on these projects! If you’ve created your closet laundry room projects, be sure to share your project within our Cricut Community!